In today’s time consumer behaviour is one of the most detailed and on-going research works that take place in this world. The preferences and choices of consumers change as per technology and convenience. With the availability of world’s information in their pockets, their hearts and minds can be won and lost in mere seconds and Google termed this concept as ‘micro-moments.’ Smartphones are now a necessity more than a luxury. They have the capacity to decide a consumer’s mood. There are thousands of moments in a consumer’s day when they would pick up their phones and check something online. Texting someone, searching for something online or filming something exciting, these micro-moments really matter for a consumer and are actually the game changer for both consumers and brands. Micro-moments as a topic, is an ocean which takes time to be understood. So for now, we will only be discussing the impact of micro-moments on web designs. In the last blog, we discussed about Mobile First Design and how it’s taking over the conventional designing process. But with micro-moments, the website building approach should also take care of the ways to attract, engage and meet the requirements of the target groups at the right moments. Read on. 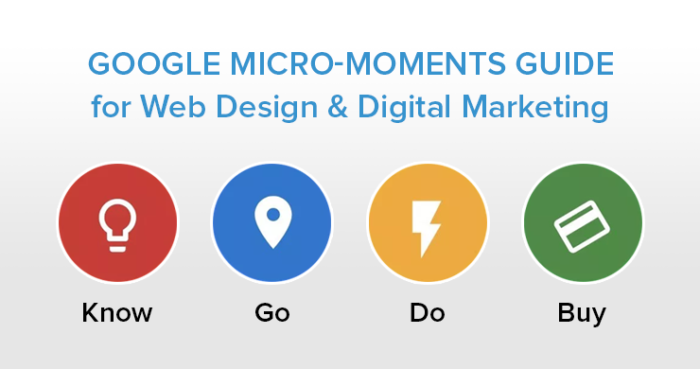 Let us understand micro-moments first. Google expresses 4 ‘Game-Changing Moments’ that really matter for a consumer while searching something online. But these are not to be confused with ‘micro-interactions’ that are tiny engagements on websites when a user experiences ‘touching’ upon the key areas of the website. The hover interactions over clickable areas or when a checkbox enlarges and changes its color after it’s been ticked off. Such are micro interactions. The 4 important key elements in every consumer’s journey when they decide to pick up their phones to search something should be prompt and clear in web-designs. Such micro-moments decide if your web designs do justice to the consumers and keep them engaged on the website. Since the time Google launched this initiative, it had time to quietly observe users in these micro-moments as well as the websites that have most aptly responded to them. Consumers have high expectations from such micro-moments or basically they want you to become the mind readers and apprehend their needs without saying a word! Thus to help you design mobile web that responds and draws in their expectations as per the micro-moments, read ahead and understand what’s required in micro-moments. 1. Analyze the Trends: Track the latest trends and techniques that are adopted leaders in the design industry to build designs based on micro-moments or talk to your design/digital agency about micro-moments and try to analyze if they really have the knowledge and understanding to pull it off. The points below will help you really put forward the right questions to them. 2. Research and Data gathering: To build a website on based on micro-moments principle, you need data. Use your analytics tools and webmasters and also do a thorough keyword research, find out the types of information sought by your target audience to identify and map their purchase journey and other requirements – plan out your design and content to reach out to them or facilitate them at different phases of the journey. 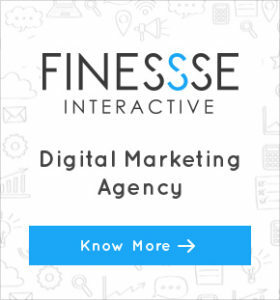 Your digital marketing team/agency may be able to help you with that. 3. Give Customers the Control: Designers always feel that UX in terms of getting the user to complete the actions the brand or marketers want them to. But you have to remember that for a customer, the experience is positive only when they can easily complete the task as ‘they’ want to. Something that is as easy as a cakewalk for them. So, while you want the users to take the desired actions on your website, make sure to connect/relate them with users’ needs and make the process of taking actions seamless. This can only be possible when you know their requirements clearly ( ref. point 2 ). 4. Respond to Real-time requirements: your design and services that you provide should be in-sync with customer’s real-time requirements. For example – when a user wants to book a table in your Restaurant urgently, does your website allow him/her to do it? Is the booking option visible? Is the confirmation response prompt?. Have you created a dedicated page for bookings which could rank on Google for the right key phrases? Responding at the right point when there is a requirement and the user seeks service/help makes a huge difference to user experience. Thus, it’s important that you map users’ journey, possible moments when they may need your services/help in real-time and make sure that your website is responsive to those micro moments. Even after consulting the friends and family, a consumer turns to web to make his/her purchases. 82% of smartphone users use their phones for research in store while considering a purchase and just in the past year there has been a 29% increase in mobile conversions. Many consumers are now obsessed with the idea of having the best of everything. Your website needs to satisfy the answer of a consumer. For example, “Best Smartphones Under 15k”, “Best Camera phone”, or “Best performance smartphone under 20k.” Your website needs to configure accordingly to engage the user and have conversions. 6. Don’t underestimate the entertainment factor: Small and subtle animations keep the user engaged and their interest in the website stays. Keeping your users engaged should be the pursued goal. Even though content plays a major role in keeping the user engaged but, that content would only be appealing when placed and animated correctly. Anything that (positively) breaks the monotony of the page can keep the user engaged on the website. 7. Take Geo-targeting into account: “Looking for something nearby — a coffee shop, noodle restaurant, shoe store — is one of the most common searches we do. In fact, nearly one-third of all mobile searches are related to location.”- Google. While Google runs major advertisements that are comprehended with ‘near me’ but with micro moments now the ‘near me’ intent is a ‘near you’ opportunity. It is because users already assume that search engines, websites and mobile applications are already tracking such informations. They expect that when they search of ‘Best Restaurant’, Google automatically serves them with the best result which includes taking into the current location accessibility. Is your design and content localized? Are they serving the needs of users at different locations? According to a study done by Google, 69% of online consumers agree that quality, timing, or relevance of a company’s message influences their perception of a brand. From this one can derive that micro-moments can help you achieve business goals. Even though they look seemingly small things, they create a huge impact on the business. Perfecting micro-moments and responding to it can make you stand out in the digital marketplace. Have a little flashback when iPhone and Blackberry were providing the same facility in their phones but the sole difference between the two was its customer experiences. Apple provided a very exclusive customer experience that made them stay longer on the website. The tiny details, easy search bar or menu button give users the freedom to search the desired content or product and keep them engaged on the website. With trends coming and going as fast as wind, we are sure that micro-moments are here to stay for long and it is pretty amazing to see web designs changing according to the consumer behaviour. Not to forget, adopting the principle of micro-moments in your web design would help you to reach the customers effectively and in moment of need. It becomes your responsibility to collaborate with your designer to ensure that your web design is optimized for excellent user experience which will in turn result in higher conversion rates and engagements. It is not a technical challenge but a mental one, as you have to consider yourself in the shoes of a consumer and build a design accordingly. Just keep in mind, small and tiny changes can be revolutionary and can have a major impact on conversions.